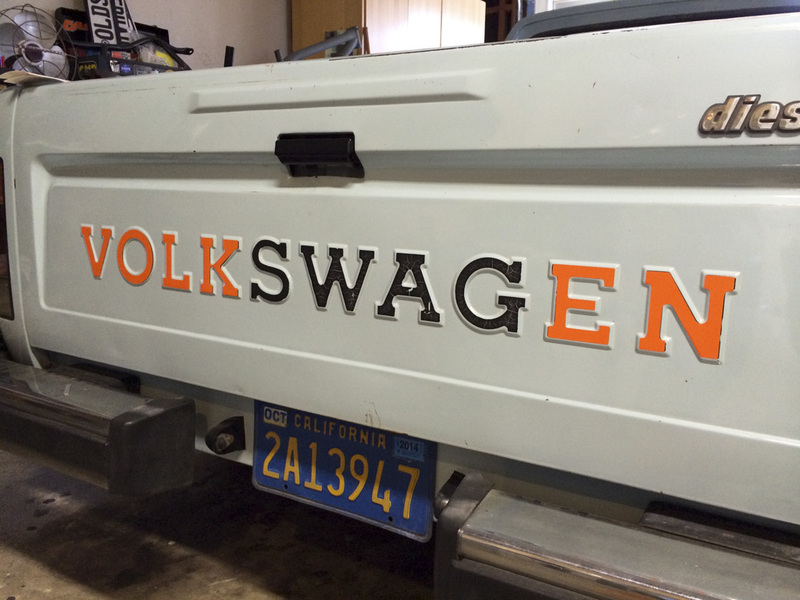 After a ton of trial-and-error, the Rabbit Pickup/ Caddy tailgate logo letters are finally done. These are also made of Oracal 751. I’d suggest putting them on in groups of 2 letters at a time. 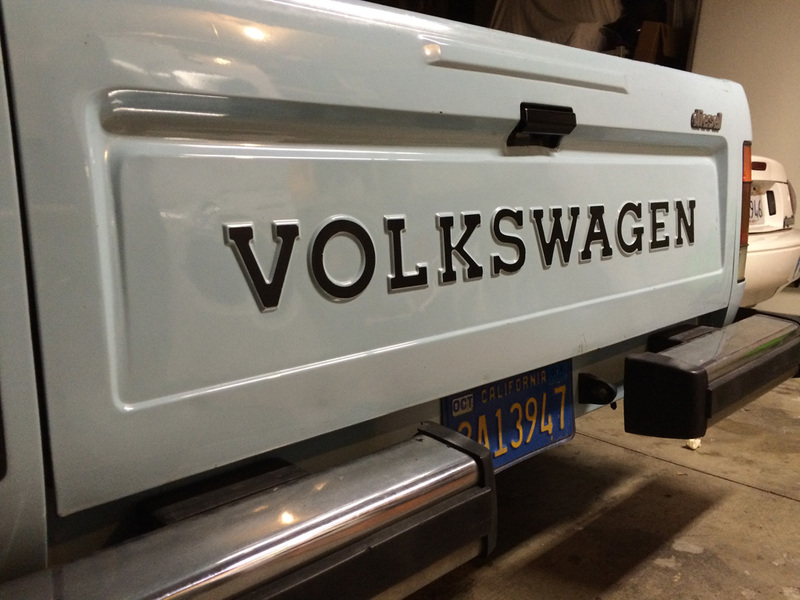 After cutting a test sticker, installing it, noting where it needed to change, then re-cutting, I was able to get a 1 piece install on my tailgate that looked and fit great. There must be some differences in the stamping on these, though, because it missed the mark on a different tailgate. YMMV. Chop ’em up and install them slowly. In this pic, they’re applied over the original cracky ones – by applying them 2 letters at a time, I was able to get good results. It’s better if you just get rid of the cracked ones, obviously. This happened while peeling off a test set that was cut from some scrap orange vinyl. I can see people wanting this. Previous PostMy emails from 9-11Next PostGTI stripes for Rabbit, Rabbit Pickup, Vanagon, whateva. Sure, I can get these out to you. They’re $35 shipped in the continental US. I’ll send you an email with my paypal address. I would love to but one of these in black. Send me an email at chris@chemidl.in and I’ll get you my details. 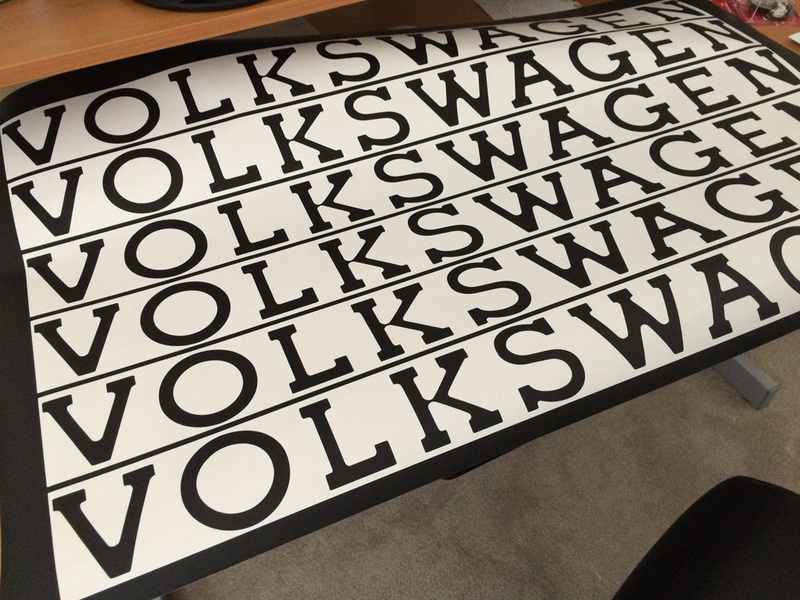 I have to run a bunch of black decals this week, I can include it with those. 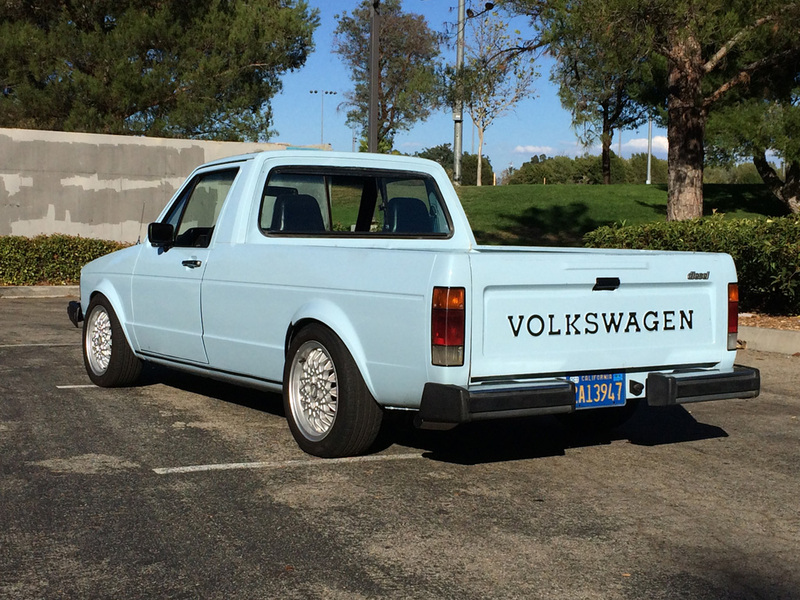 Hello , any chance you can sell me 81 caddy tailgate decals in RED? That is the theme I am doing on my restoration .